Home Warhammer 40k Warhammer Tactics: Fire On My Target! Welcome to Warhammer Tactics! 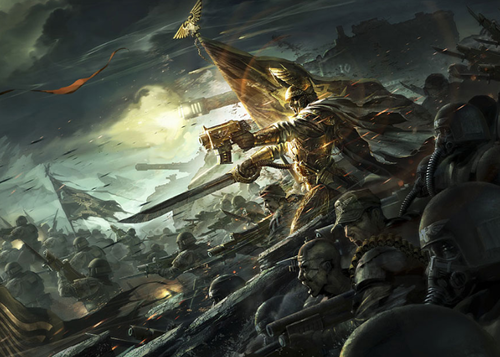 Today, we’re going to be breaking down Target Priority, both as a concept along with some deeper level theorycrafting around it to help you improve all your Warhammer 40K games. Let’s dive in! At its core, Target Priority can be simply thought of as identifying which things we want to shoot/melee/psychic off the table first, and the order we go about doing so. 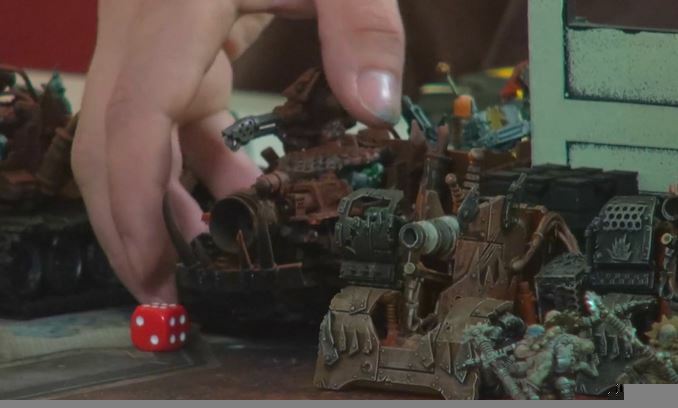 If your opponent has a big scary model like Magnus or The Swarmlord, you probably want to kill them first before you take down some Cultists or Gaunts. Easy enough, class dismissed! Right? Not quite. 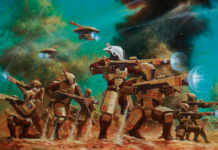 See, 40K isn’t a game about killing your opponent, generally. Instead, it’s about scoring more victory points than your opponent, which you get by taking objectives. Sure, you can try and table your opponent, but that’s inconsistent at best. And if you focus on your opponent’s objective runners over their highly threatening units, you’ll quickly find yourself with very little left on the table yourself! This is why Target Priority is actually a fairly complex concept even though it’s simple to understand at a basic level. You need to try to prevent your opponent from scoring while simultaneously scoring yourself, but you also need to remove threatening units in the process. After all, nobody wants to get shot by 10 Hellblasters six turns in a row. What complicates this even further is that different armies are vulnerable to different units from the same list. 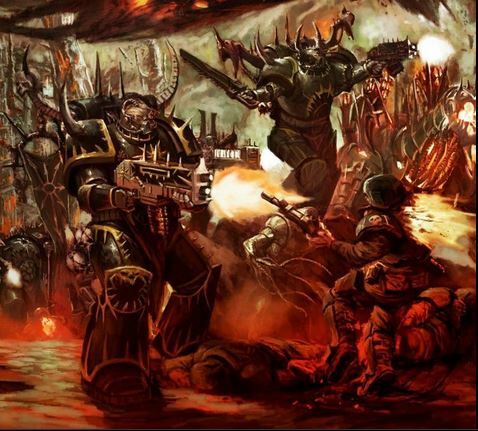 For example, if I’m playing as Orks against Chaos Space Marines, I need to worry about my opponent’s Noise Marines, since Noise Marines are great at mowing down hordes. 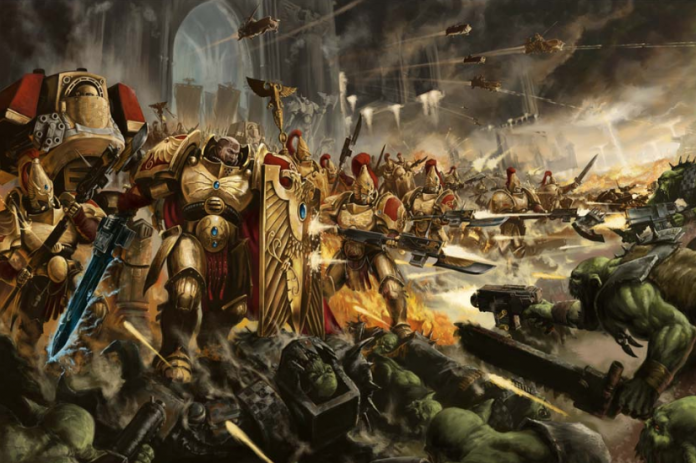 On the other hand, if I was playing Custodes against the same imaginary Chaos Space Marine Player, I don’t care about Noise Marines at all. Instead, I’m worried about his Obliterators, since they can really put the hurt on my elite units. There’s another layer to take in when considering your Target Priority for a game as well, which is how it can dynamically evolve over the course of a game. As you lose certain models or units, what you need to focus on can and will shift. 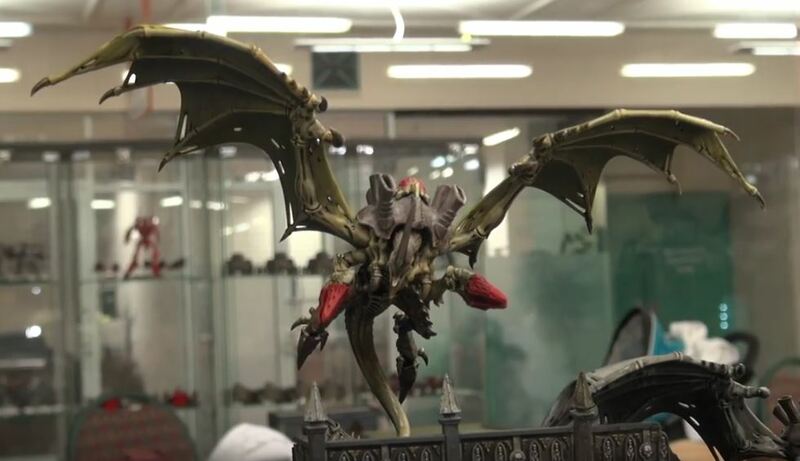 Consider a scenario where you’re playing a Tyranid horde with a few big monsters. You prioritize killing the enemy’s big weaponry, but don’t do it in time and lose all your monsters. 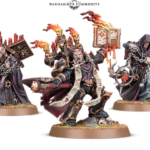 Your Target Priority should now shift to prioritize killing anything in your opponent’s army that’s good at killing hordes, since all you have left are tons of cheap models. Since you don’t have any monsters left, your opponents multi-damage weapons are now really inefficient and not worth worrying about. We actually have one final dynamic to consider to Target Priority, which is identifying what’s immediately threatening versus what will become threatening. 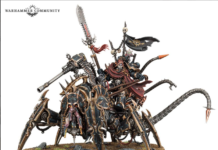 Going back to our Tyranid example, if our opponent has a bunch of Multi-Meltas for his big weapons, we don’t need to worry about them until the Multi-Meltas are close to our monsters. We should focus on their anti-horde weapons and objective runners until their Multi-Meltas get a tad closer. These examples are all a bit simplistic, but these are the kinds of things to be thinking about. So, how do we move from the strictly theoretical to a more real-game application? Well, that depends entirely on what you’re playing, what your opponent is playing, and the mission, which means the details are always case-sensitive. However, we will go over the basics of the thought process you should have at the beginning of the game, and beginning of the very turn. This way, you can start cultivating this skill over the course of your games. Once you’re set up and are about to take your first turn, take your time and look at the board and what your opponent is capable of. Odds are, he’s going to have some unit that you just need to take down first. Figure out what that unit is, and then figure out what you’re most vulnerable to next. Running with the Tyranid example from before, if we keep a few monsters alive after killing all or most of his heavy weapons, they can roam free tying up and running over his anti-infantry with impunity.. You’ll also want to have a loose idea for how the first 2-3 turns are going to go, and keep that idea live in the back of your head. At the beginning of every turn after turn one, you should again take a minute or two to survey the battlefield. Think about how close you currently are to the envisioned plan you have in your head. If things are still going according to plan, that’s great! Simply plan one turn further ahead, and keep repeating this process. If things keep going in your favor and you continue to plan appropriately for the things we covered earlier, by the end of the game you should have a very decisive victory over your opponent waiting for you. Sometimes (okay, usually), things don’t go according to plan. We fail charges, don’t manifest our psychic powers, our Plasma Gunners all roll 1’s and die, etcetera. This is where flexibility as a player comes in, as you may need to adjust or entirely scrap the game plan that you have. 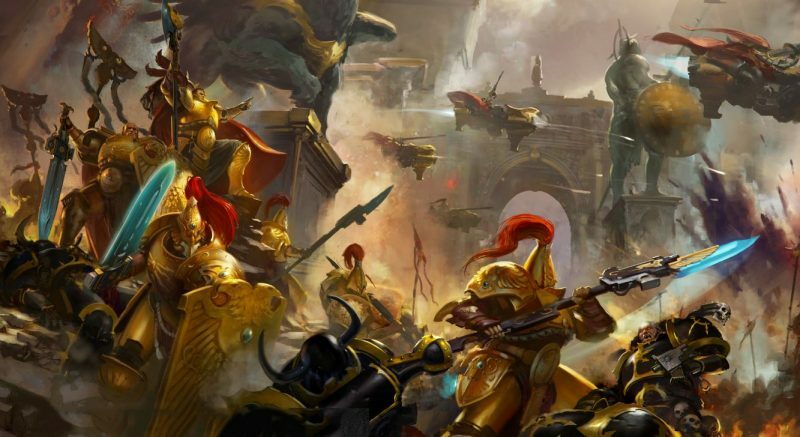 One of the strongest indicators of an excellent 40K player is their ability to pivot and adjust their strategy as the game flows, so developing this skill will greatly improve your gameplay. If you find yourself in this situation, then you should either scrap or adjust your game plan accordingly. As a rule of thumb, you should simply try adjusting when things are only a little off your imagined script, and develop a new plan when things go totally awry. For example, let’s say your opponent has a good first turn and kills 4 of your 6 vehicles on his first turn. Since you’re a vehicle heavy list, your initial gameplan is probably to kill all of his big guns off bat. However, with only two Vehicles remaining, you’re off to a rough start. If you stick to the game plan you had, then you’ll possibly end up removing his anti-tank weapons just in time to get your infantry all killed, since they’re being ignored for multiple turns. Instead, if you pivot and realize you can’t fight your opponent on that axis and whittle down his anti-infantry, he’ll kill your other two tanks and then not have efficient ways to handle your infantry. While not a “good” situation by any stretch of the imagination, you’re in a much better position thanks to your adjustments. Most games of competitive 40K end after 6 rounds, and casually they end anywhere from 5-7 rounds. As the game starts to near its conclusion, your priorities should start to shift. 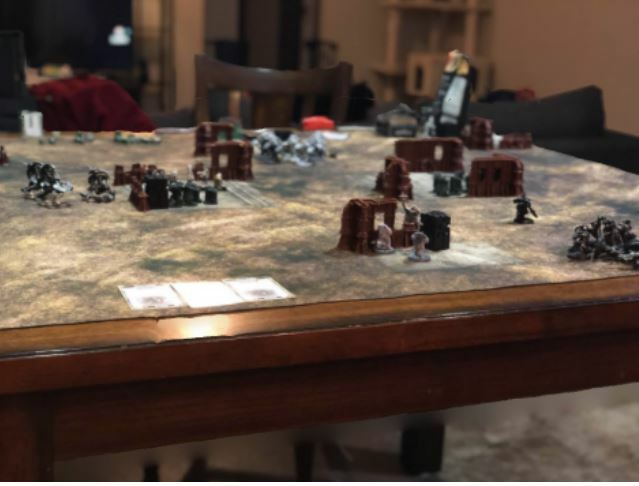 Regardless of what style of game you’re playing, Turn 4 is usually the magic Turn where you need to start considering Objectives along with simply killing things and taking positions. There’s a few reasons for this. First, regardless of what kind of game you’re playing, at the end of the game you’re going to win or lose on Objectives. This means that units on Objectives should be considered more valuable to you to protect if they are yours or remove if they are your opponent’s the longer the game goes. However, you can’t change gears too early or too sharply, as you don’t want to prematurely abandon interacting with your opponents threats. Again, nobody wants to get shot by Hellblasters 6 turns in a row. Instead, you should start shifting your priorities on the back half of your game. This gives you time to still respond and plan to what your opponent will try to score, while also giving you time to preserve at least some of your own forces and take some Objectives of your own. By turn 6, you should have almost completely shifted focus to objectives. If you’re going second, you should 100% shift to Objectives here as the odds that your opponent can meaningfully interact with you are slim to none at this point. Take those objectives and enjoy your well earned victory! That about wraps us up for today! There’s a lot to consider when you get to the nitty gritty of Target Priority, but it’s an important skill to develop. As you develop better Target Priority, you’ll see a sharp improvement in both the amount of games you win, and the margins you win them by. Make sure to check back in next week when we go over pacing and how you should spend your time!